A scathing verdict on the U.S. criminal justice system. While you may find "Actual Innocence" in the "true crime" section of your bookstore, this is not your typical fare of a more or less well-written and soon-to-be-TV-movie account of a harrowing crime, or series of crimes. 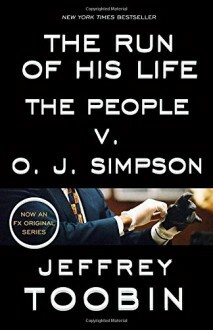 And while the book undeniably shows the hands of two lawyers who know how to craft a closing argument, and a Pulitzer Prize winning journalist, this is at heart, as the authors point out – and disturbingly so – a "work of nonfiction." 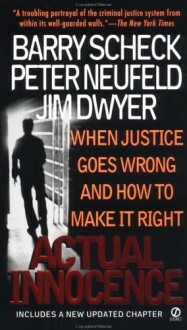 "Actual Innocence" is an account of the work of Scheck's and Neufeld's "Innocence Project," describing some of the Project's most prominent and successful cases, and a scathing condemnation of the shortcomings of the American system of criminal justice – particularly, under the Supreme Court's holding in Herrera v. Collins, 506 U.S. 390, 404 (1993) (Rehnquist, C.J.) that "a claim of 'actual innocence' is not itself a constitutional claim." Under Herrera and the cases following it, a federal court can reject a defendant's petition for relief even if it is based on proof of innocence, even if that proof is, as in the cases represented by the Innocence Project, of a scientific nature (DNA evidence showing that the defendant cannot have committed the crime he has been convicted of), and even if the deadlines for submitting that proof are so short that it is virtually impossible for a defendant to present evidence obtained post-conviction in time for a consideration at least in the state court system, which review has to precede a review by the federal courts. Read more on my own website, ThemisAthena.info. Preview also cross-posted on Leafmarks.